The Maryland Attorney General had already issued an opinion advising police departments around the state that the public has a right to video record police during public interactions. This opinion prompted Baltimore police to issue an order directing its officers not to infringe upon the public’s right to record its officers. However, a recent civil lawsuit has called the Baltimore police department’s order into question, and the Department of Justice is watching closely. The civil lawsuit was filed by a Maryland lawyer on behalf of a Howard county man who was using a cell phone to video record the Baltimore police arrest a woman at the 2010 Preakness. Baltimore police allegedly confiscated the camera phone and deleted the photographs. In response to the civil lawsuit, a lawyer from the Department of Justice Civil Rights Division filed an 11 page letter with the court stating that Baltimore police policies do not adequately protect a civilian’s right to record police and civilian interactions that take place in public. The letter specifically deals with the Baltimore police department citing interference with police duties as justification for stopping or prohibiting video recording of its officers. Police lobbyists have also argued that video recording should be limited due to safety concerns of officers, but it is the vague interference with police duties excuse that has irked the DOJ. The Department of Justice stated that the Baltimore police department must specifically define actions that qualify as interfering with police duties rather than just using this as a blanket reason for limiting the public’s use of video recording. The DOJ also stated that the public is entitled to express criticism of police officers, as well as curse and even use obscene gestures. It is clear that the public’s right to video record officers is a civil right that will continue to be protected, and Baltimore police will face more scrutiny if their polices are not modified to support this right. 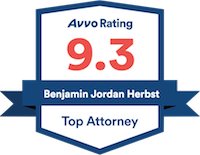 Benjamin Herbst is a Maryland criminal lawyer specializing in DUI, weapons, and marijuana cases. Contact the Maryland DUI lawyers at the Herbst firm for a free consultation. DOJ seeks to tighten Baltimore policy on recording police, baltimoresun.com, May 17, 2012.